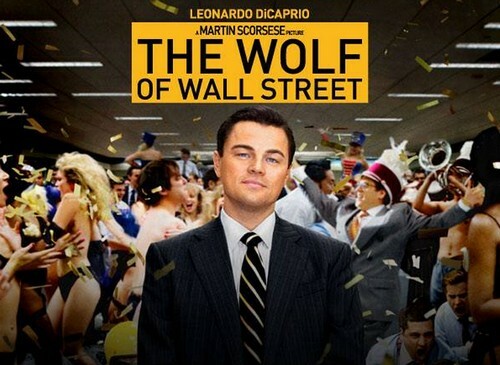 The Wolf Of Wall Street Academy Screening Ends In Controversy – Backlash Already Brewing? The Wolf of Wallstreet debuted Saturday at the Samuel Goldwyn Theater in Los Angeles, but boy did it not end well. According to Academy member Hope Holiday‘s Facebook post following the screening, the movie was received very poorly by most Academy members, with director Martin Scorsese reportedly getting heckled. It’s interesting – Scorsese is no stranger to controversy with his movies, and The Wolf Of Wall Street was always primed for controversy. The film’s about the moral decadence of Wall Street types, and I can easily see how some of the scenes in the movie would be very hard to stomach. Even if the critical reviews were good, that doesn’t mean that Academy members [most of whom are old] will enjoy the subject matter. The film was barely given an R-rating, and there are some scenes in there that are obviously meant to push the button, which they clearly succeeded in doing. Anyway, Hope’s Facebook message contained details about the screening, with her explaining, “Tonight was torture at the Academy — The Wolf of Wall Street – three hours of torture – same disgusting crap over and over again. After the film they had a discussion which a lot of us did not stay for – the elevator doors opened and Leonardo DiCaprio, Martin Scorsese and a few others got out. Then a screen writer ran over to them and started screaming – shame on you – disgusting.” Hope also added that while she ‘hated’ the film, some people did enjoy it. Yeah, I think we can count this movie out as a frontrunner for the Oscars, especially with a year as competitive as this one. We already have Gravity, Captain Phillips, American Hustle, Her, and 12 Years A Slave all gaining momentum heading into the final months, and while Wolf received a lot of love from the Golden Globes, I just don’t see it appealing to the older demographic with the amount of debauchery it portrays. Leonardo DiCaprio Taking Long Break From Acting To Focus On A Family? Robert Pattinson And Kristen Stewart Filming Movie Together Again! Jennifer Aniston Replaces Emma Roberts in We’re The Millers Franchise: Fears More Domestic Disputes and Wild Behavior?